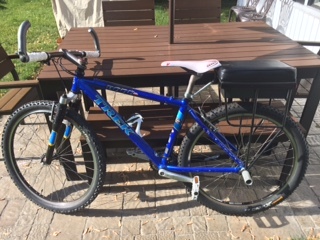 ​I installed the bike seat and went on a total of one ride with my son before someone came into my yard and stole my bike. I’d had the seat less than a week. Such a bummer. The one ride was fun though. 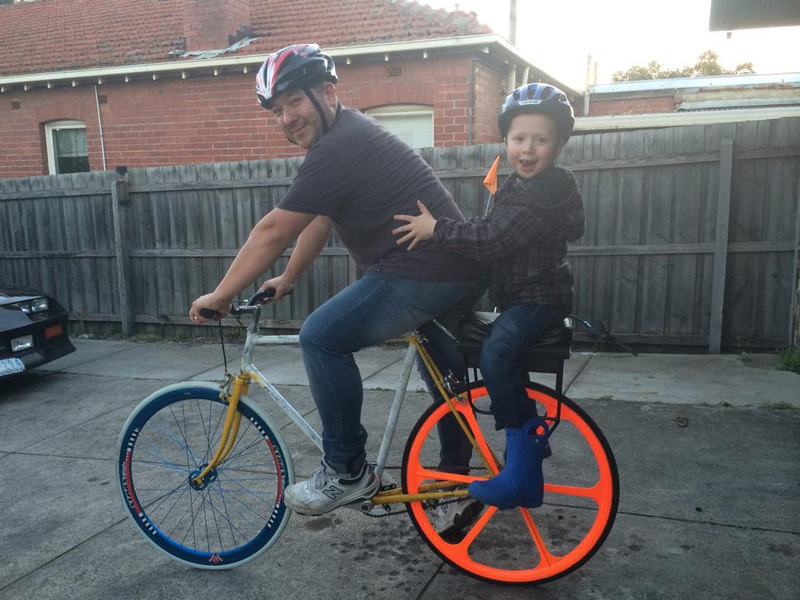 My son liked it and I appreciated how sturdy and well-made the seat is. 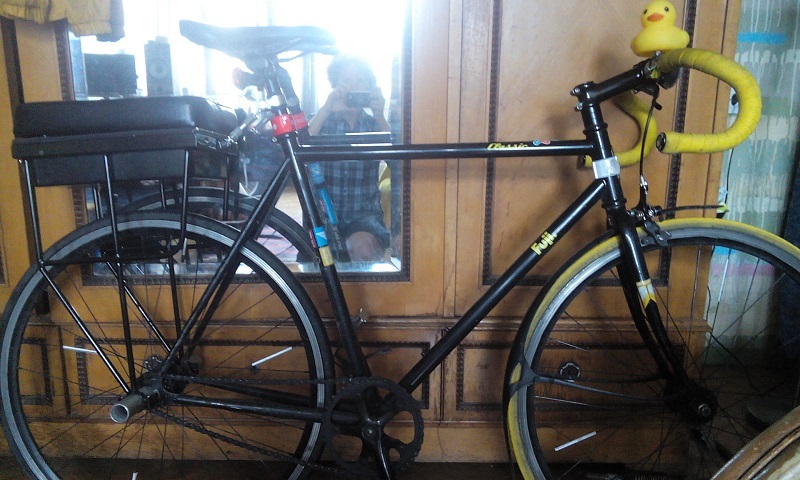 Here is a picture of my bike with the seat the night before it was stolen. The only thing that makes me feel better is maybe the thief needed it even more than me. ​I have received the companion seat and it is fantastic! My daughter is loving it being the passenger. Congratulations for such a great invention! Attached is the photo of the seat on my new bike! ​A Great Bike made even better with the Companion Seat and Back Rest. Everything fit perfect and the construction is rock solid. I really like the sturdy threaded peg construction which allows my girlfriend to stand up on it to clear the backrest and have a seat behind me. ​I never saw her smile and laugh so much in the years that I have known her. I rode from 7pm to 9pm ... and people on the beach said, "wow I never saw that before ... that is the best one I have ever seen ... oh, that looks soooo fun." 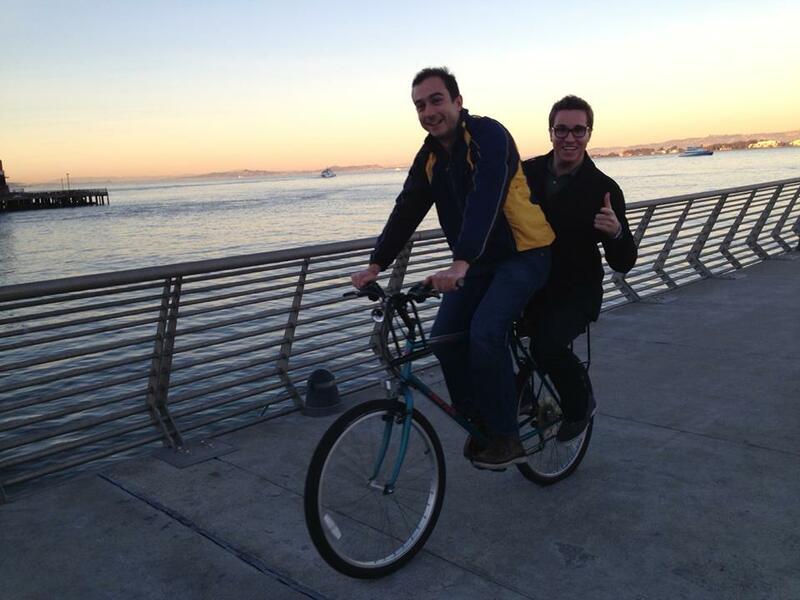 I can’t tell you enough how much we love the Companion Bike Seat. To be honest it’s improved our commute so much and has really given me the confidence to ride solo around the city on short trips. I used to be really freaked out on my bicycle with all the traffic and noises, but since being on the back of my boyfriend's bike I’ve grown much more comfortable with it. With the new bike seat we literally stopped using our car in the city. After about a month of having the seat we couldn’t remember the last time we took the car out on an errand. Thank you so much for making such a wonderful product! We had a lot of fun with the seat yesterday. 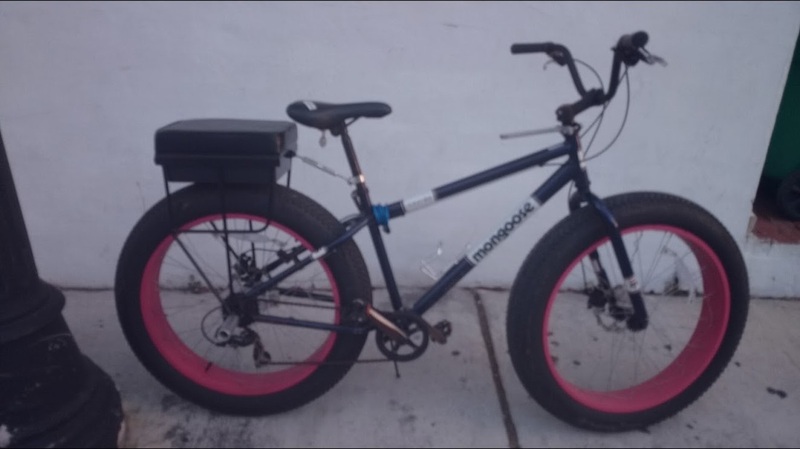 I put it on one of our fat tire bikes. I worked well. ​Just wanted to let you know how much I've been enjoying the seat these past 15 months. 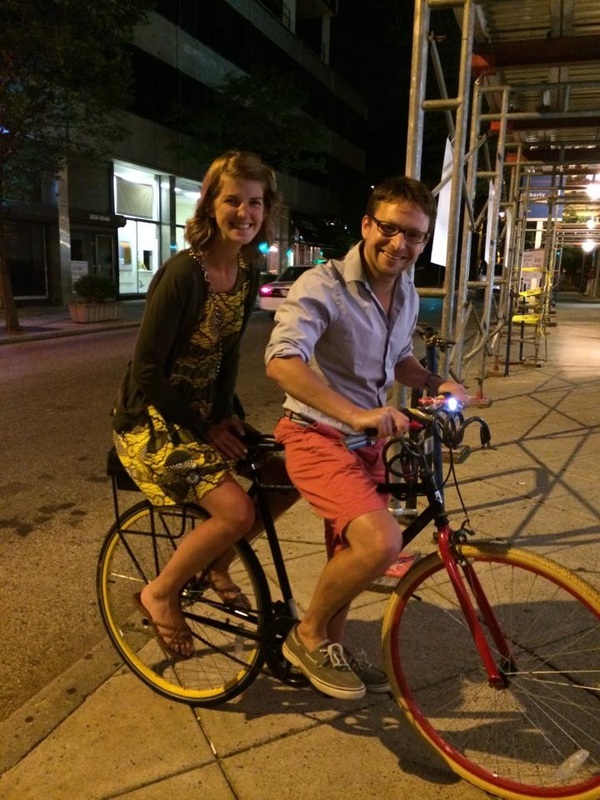 I bike 10.5 miles a day across DC to work, and for the first one of those miles, my girlfriend-turned-fiance-turned wife comes with me. It's become such a part of our daily routine that we even featured the seat on our wedding site, and brought it with us last Saturday to our wedding. Thank you so much for all your help. The seat was amazing at burning man. My girlfriend thanks you so much. She didn't need to peddle at all. 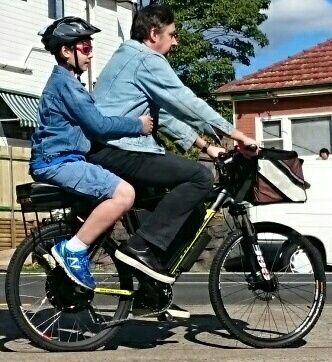 Here is a picture with me and my son on our bike enjoying the companion seat, he is 5' tall and around 95 pounds. Of course your seat can handle much larger people and he has lots of room to grow into it. We ride a few miles each day to school and back, and the companion seat has been absolutely fantastic! We receive lots of interest from passers-by, class mates, and parents. The seat was easy to fit and extremely comfortable, the bike is now a viable mode of family transport. 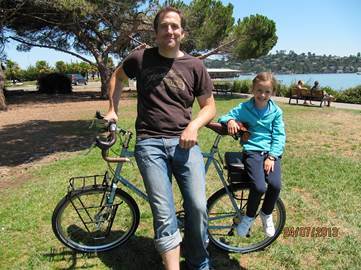 My young daughter sits on a little seat in-between me and the handle bars but without the companion seat we would be lost as there was no other option to transport larger kids or adults. Thanks again for your assistance and speedy service, the companion seat exceeded our expectations and is superior to anything else on the market that we know of right now. Great Company, Great Service, Great Product. 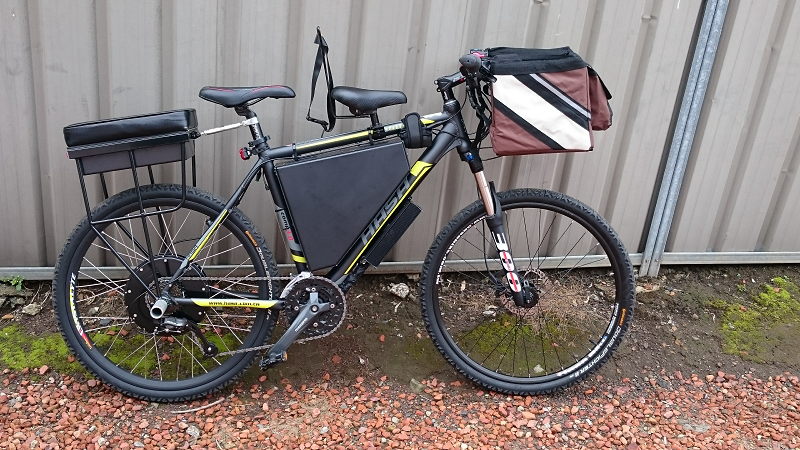 Not only can you ride a passenger but the storage space is awesome and when the pannier hooks arrive it will be the ultimate unit for any commuter or casual rider. This is one product I can actually say I'm excited about and am glad I have. 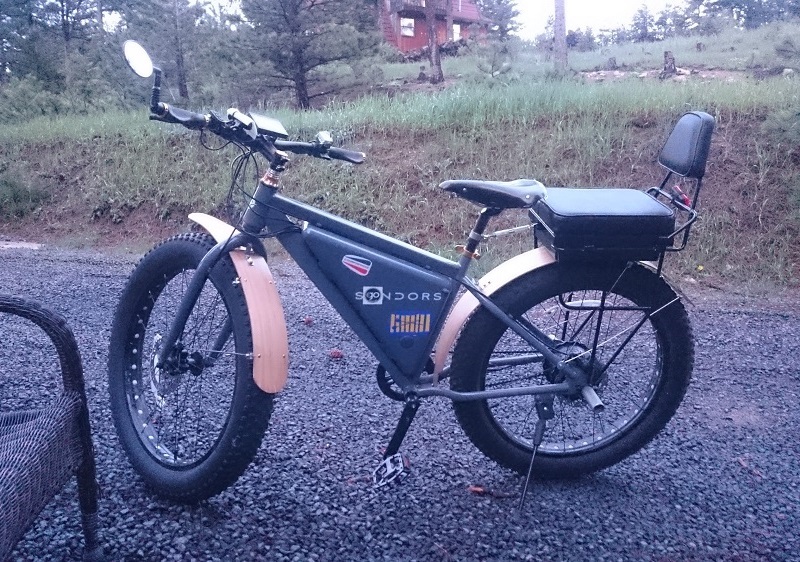 Installed on my 3000 watt electric mountain bike. Installation was easy. My first impression of riding - it's heavy! But in a few moments I got used to it. It's a new step in biking. Now I can take someone with me and share my adventures or just give a short ride. Thank you for this seat, for new experiences! I've been using the bike seat for a week and so far I am loving it. 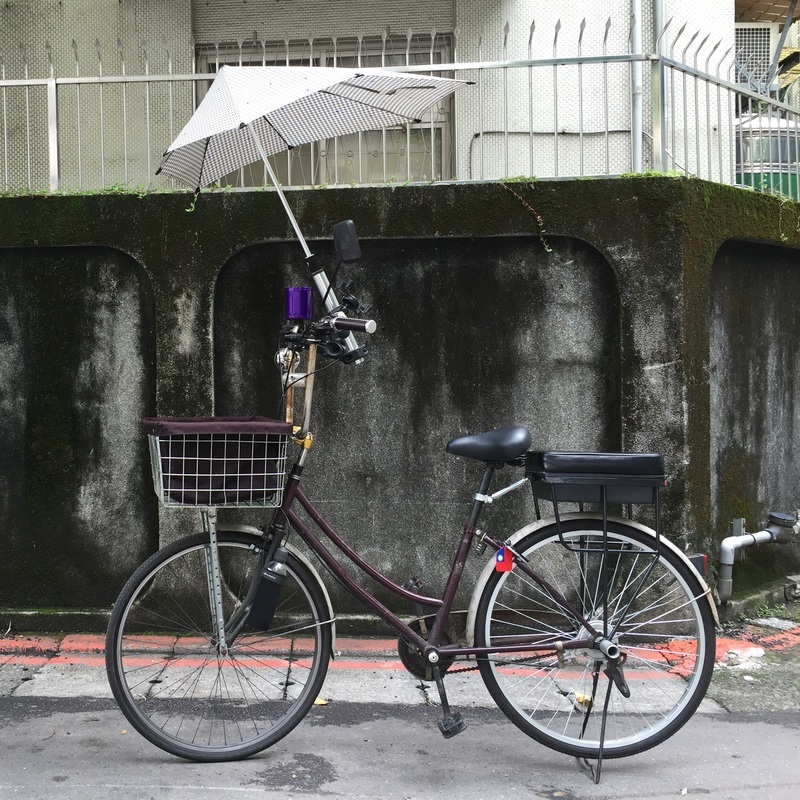 I have attached a few photos of it installed on my bike, here on the street of Taipei. I'm assuming it's the first one in Taiwan! Thank you so very much for designing a wonderful product. 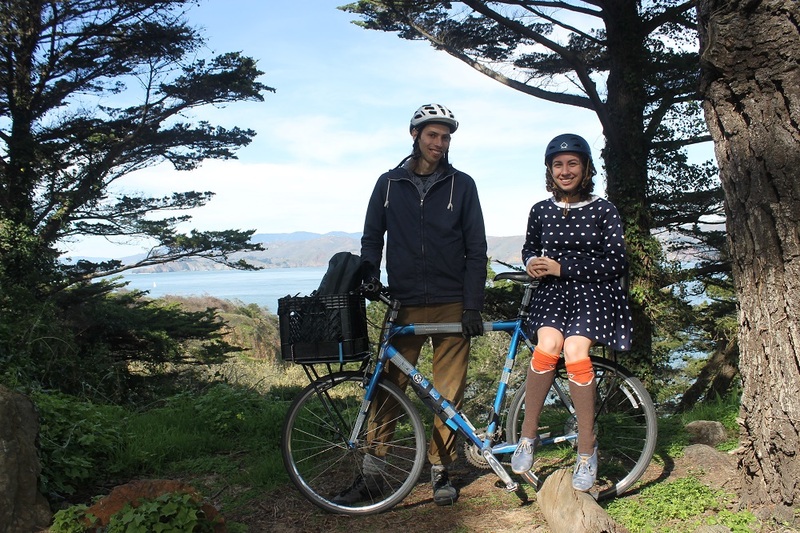 The very same afternoon after you installed the companion bike seat for me, my passenger and I biked out together to Ocean Beach, Golden Gate Park, Sutro Heights and Land's End. We both had a great time. 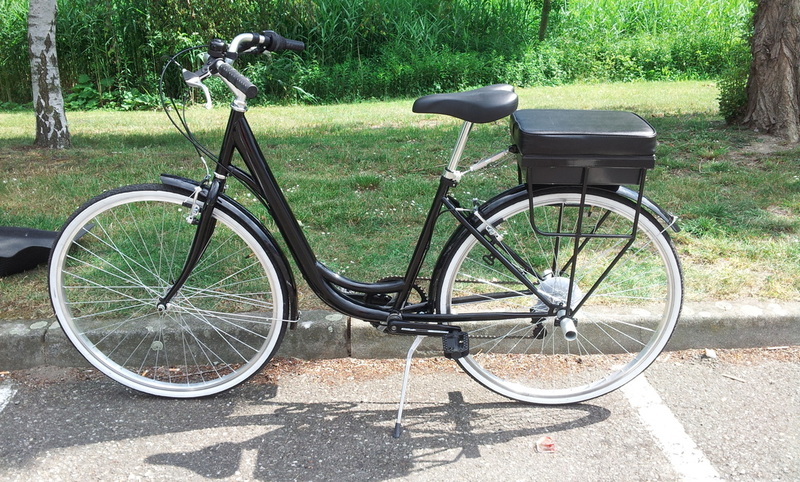 It was comfortable for me as the biker and my companion said that she found the seat and foot pegs to be comfortable and sturdy. 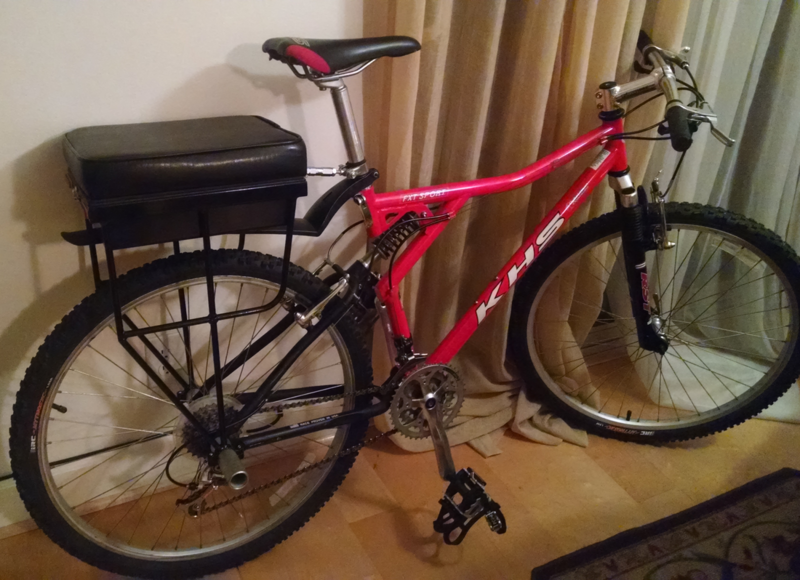 I purchased a Companion Bike Seat in August 2014. Its Awesome! I use it to take my daughter to school. We take the city bus part of the way, then I have her ride on the Bike Seat for the last few miles to school before I continue on to work. 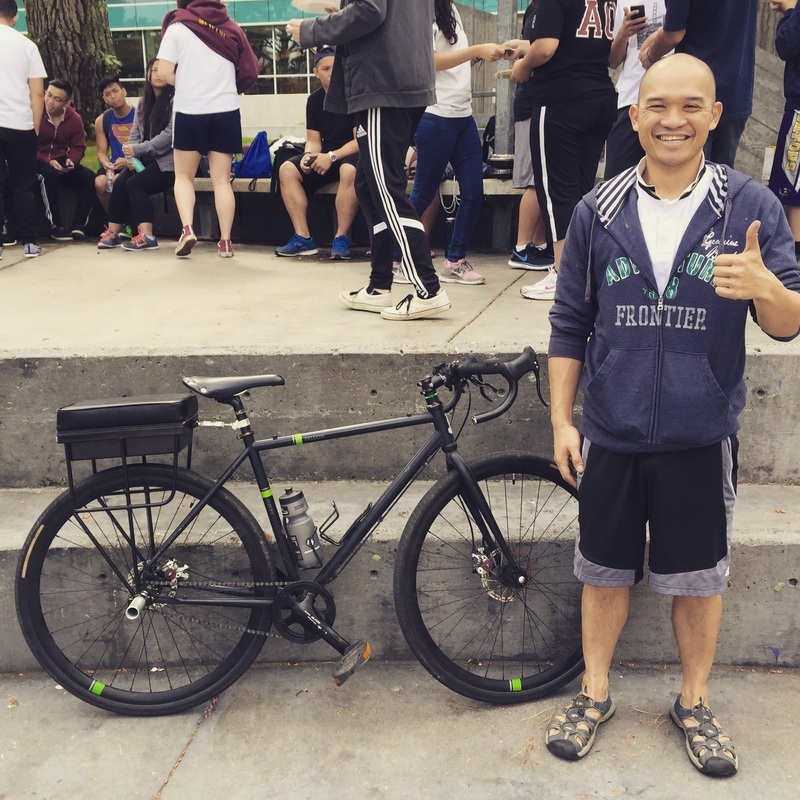 The city bus can fit a standard bike, but not a bike with a trailer, or a bulkier child seat - the Bike Seat fits on the bus rack and doesn't keep other bikers from storing their bike also. 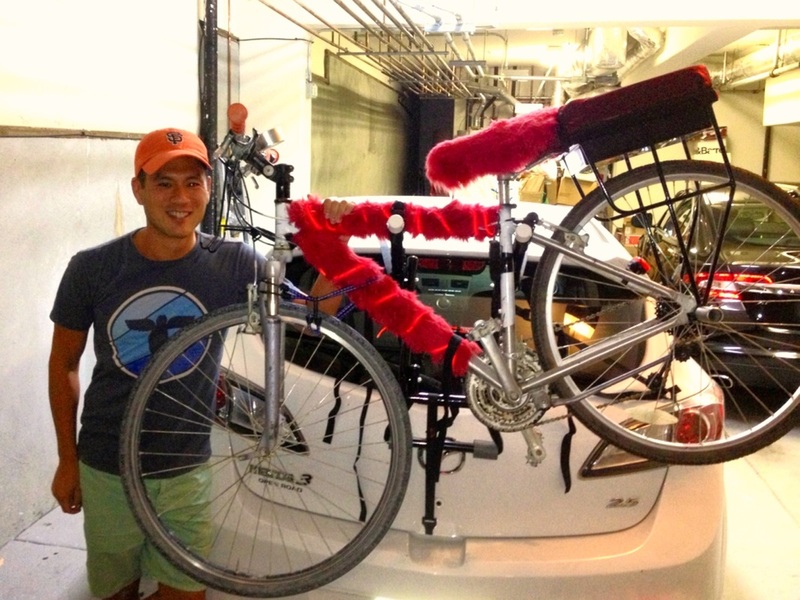 We are looking forward to the Bike Seat Backrest. 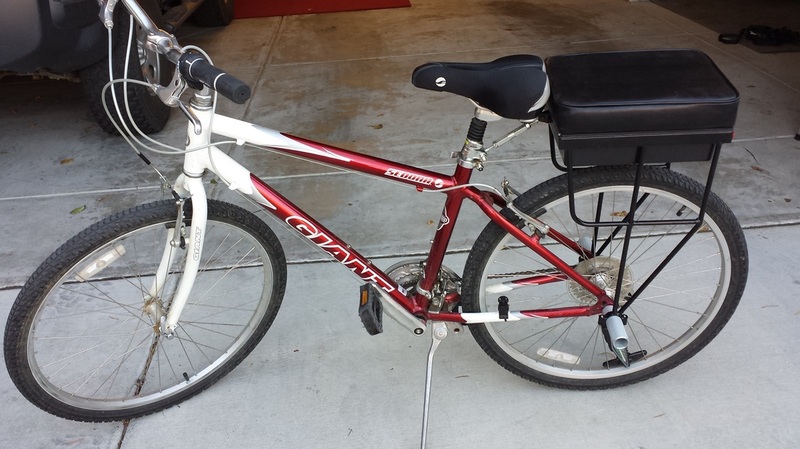 I bought a used bike and attached up right handlebars and one of your great companion seats. I love it. My children and I enjoy it when the season is right for biking here in Ohio. We love riding double with the Companion! Thanks for the bike seat. It's really cool and I use it every day, twice a day to take my son to/from daycare. We both love it!! Thank you for shipping it so promptly. I received it on Monday, but it wasn't until last night that I had everything I needed to change the axle. I managed to change out the axle tonight and then it was pretty easy to get "The Seat" mounted from there. I was pleasantly surprised to see my huge Kyprotnite New York U lock fit in the lock box. I think that's where I will keep it. The seat perfectly matches my bike, by the way. This rig should be your model! I recently added one of these to my bike and LOVE taking my 10-year-old daughter everywhere on it. Between this and my cheap bike trailer I was able to get rid of my car. I wanted to thank you for making this wonderful product. I've just ordered it today. 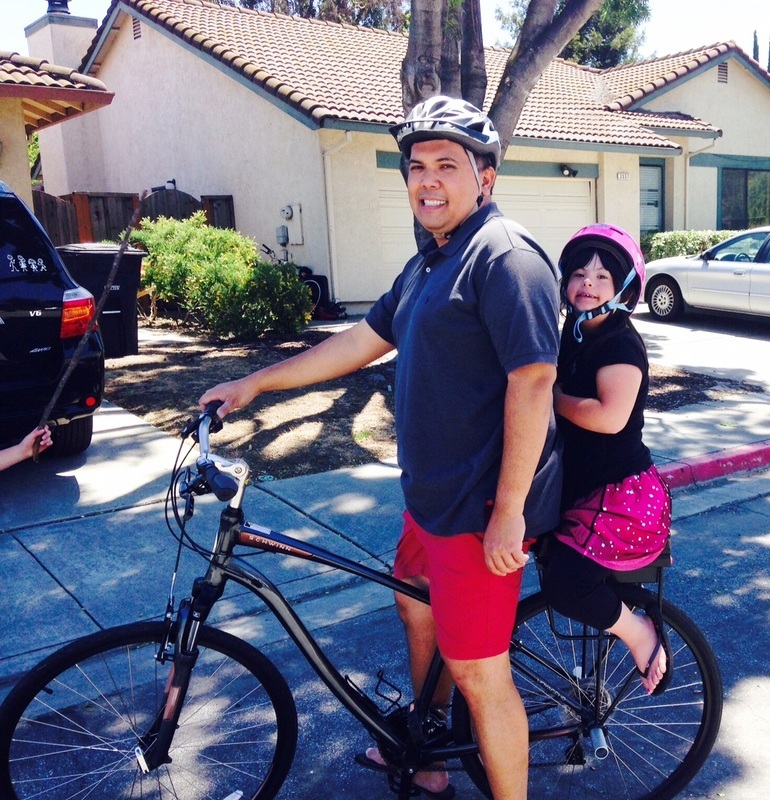 My bike is the only form of transportation for me and my daughter, and when she approached 40 pounds and can really no longer fit into the Co-Pilot, I started to sweat. 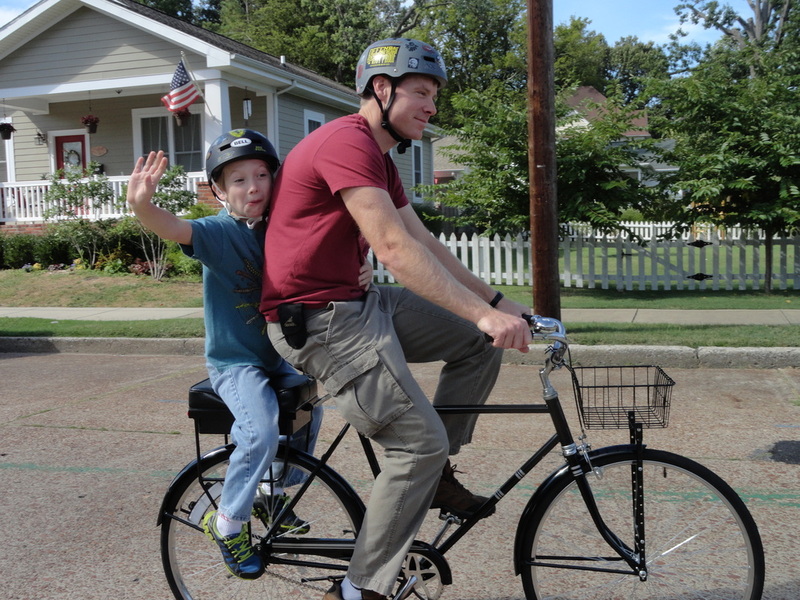 Xtracycle costs a minimum of $400 for a cargo seat for a child, and your product does it and so much more affordable! Thank you thank you, thank you!!! I would recommend this seat to all cyclists. I have gone grocery shopping, moved things from my parents' house to my apartment 20 blocks away, gone to the beach, the movies, out to dinner, dropped off and picked up my girlfriend from class, road to and from work, and have road around recreationally with the trunk loaded with my iPad as a GPS and a refreshment or snack in the trunk. Thanks again and please keep me posted on upgrade and updates for the seat. I love it. I found a frame this morning and knocked together a bike from all the spare parts I had lying around. The rear wheel was a Teny and had a a nice wide axle! So it’s done! 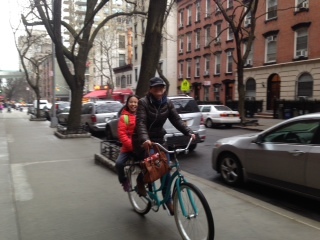 Just went on my first ride with my son on the back… very cool! 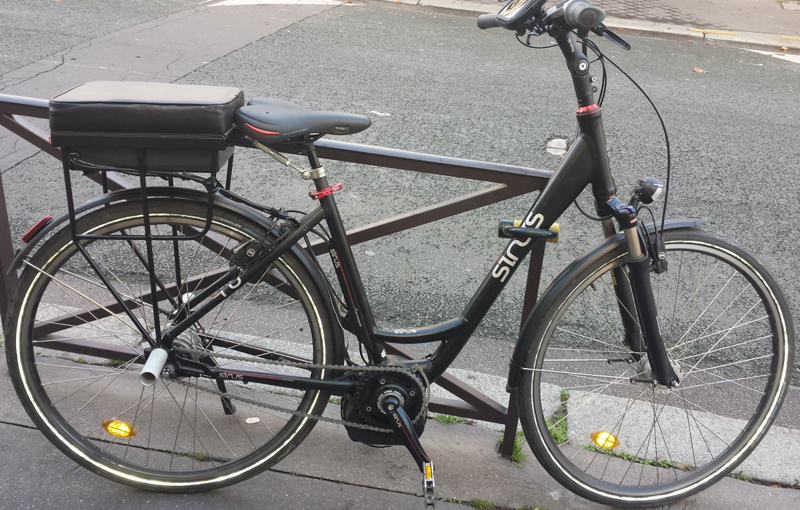 Anyway, all good, it’s a real frankenbike, looks terrible but rides great! The Companion Bike Seat mobilized awesome and completely enhanced my Burn this year. 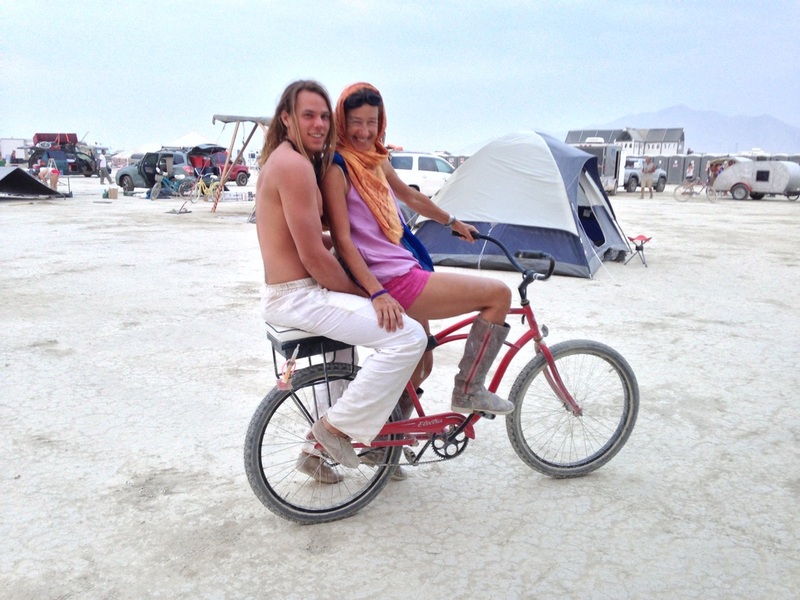 Being able to roll out into the playa as a duo on one bike was so fun — my man and I got to cruise together more often and actually got to hang out and talk (and hug!) while in motion. Being able to support friends (and even strangers but soon-to-be-friends) when their own bikes broke or they needed a ride was totally rad too. Companions will come with me to every Burn from here on out! I love the seat! I was able to pick my son (5th grade) up from school after band and ride home while my other son was on his own bike (2nd grade). So much faster than walking, and he didn't get so tired in the heat. The seat is great and is very useful (see attached pic, I'm giving Marina's friend who got a flat tire a ride while holding her bike on the side). Super easy to ride with someone in the back. Assembly was simple and the seat itself was stable. 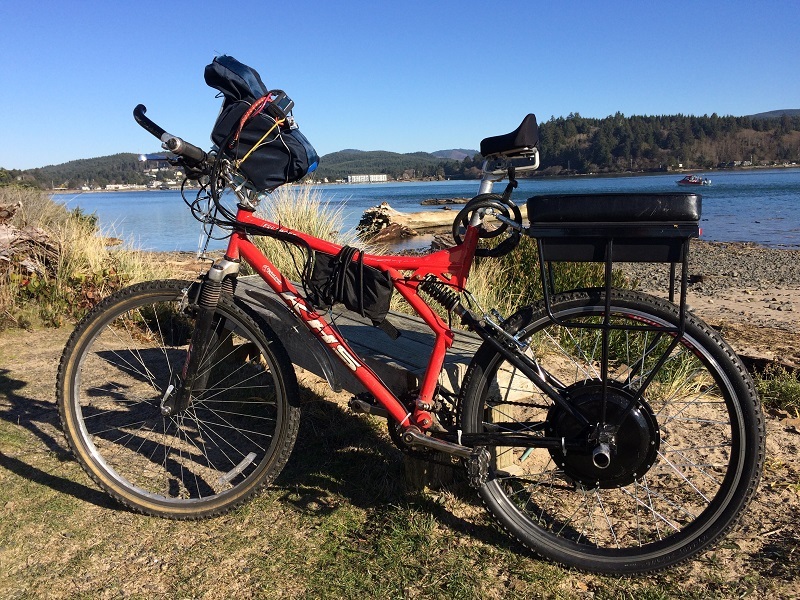 The storage compartment came in really handy and the seat itself was great for carrying cargo since it was much wider than a traditional rear carrying rack on a bike. 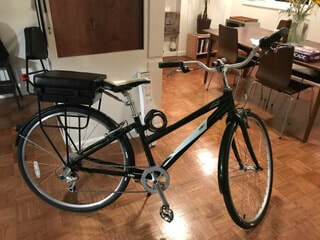 I/We, my wife and I absolutely love the seat, as does the city of Philadelphia, I get comments and questions every time we are out on it, and more often than not on my return to the bike there is someone looking at to, asking where I got it from! We use it every single day, without fail. Thanks so much for making every journey around the city so much quicker than having to walk everywhere. I received my seat a couple of days ago and installed it in minutes. My Trek Verve 3 is now fully equipped with my Bionx and the Companion Seat. I live a few miles from Laguna Beach but it's hilly territory. I've already taken my 8 year old to the Sawdust Festival via bike and was able to completely avoid the traffic in Laguna in the summer. Can't wait to go to the beach later today. The perfect complimentary product. Thanks. 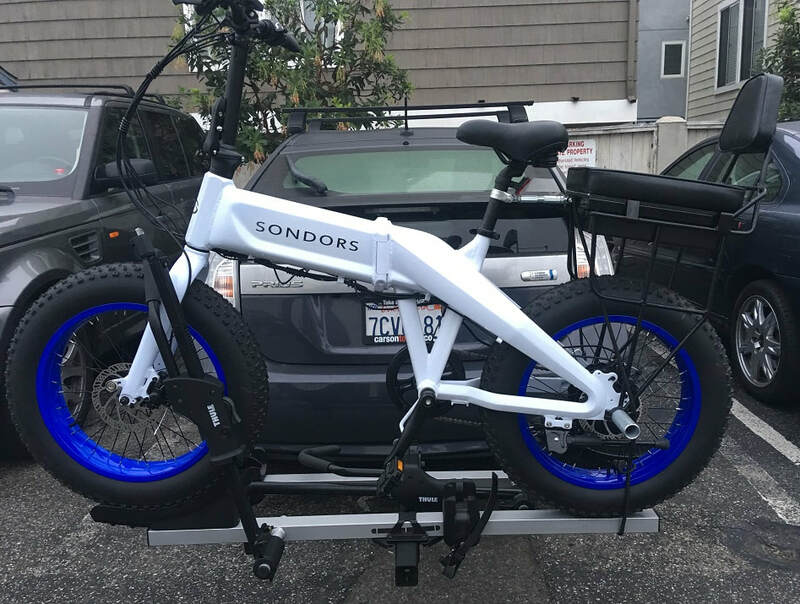 Been looking for a solution for the family to ride bike together. I have a 9 year old daughter with Down Syndrome and she struggles to get the concept of balancing but she's too young still for a big trike. Enter, Companion Bike Seats and the very helpful Paul O'Leary. After a few instructions on what to purchase, he came out and did an install and viola...we are riding! 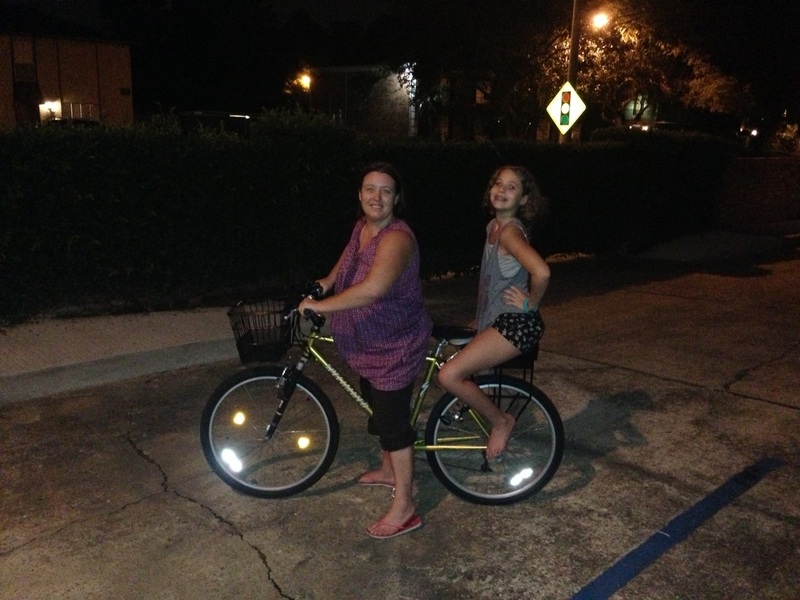 Finally, we can take our bikes camping and my daughter, who cannot ride a bike yet, rides with us! It's liberating! Thanks to Paul and Companion Bike Seat. Great service! 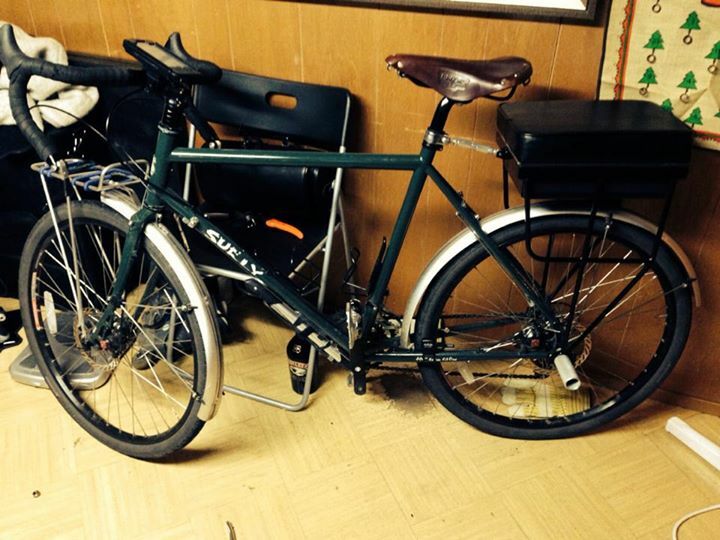 Works really well on my 2014 Schwinn Voyageur 24 speed comfort bike. Now my bike seats two! The Companion is very good, it's wonderful! Very impressed with the quality, good design, and easy to fit. We went for a ride 18th June, very comfortable and stable, a hot sunny day and the food stayed cool, a good cool box as well! Bikes ride much better with a passenger and someone to talk to, but not many people do it in the UK as most bikes have no rack. 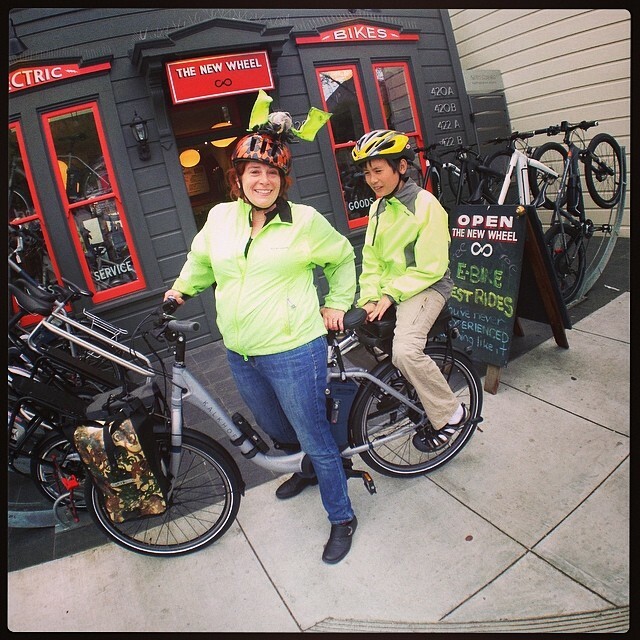 Electric bicycles: Ready for all the hills life throws at us. I know the seat will be hugely popular around here, we are going to get tons of questions about it. 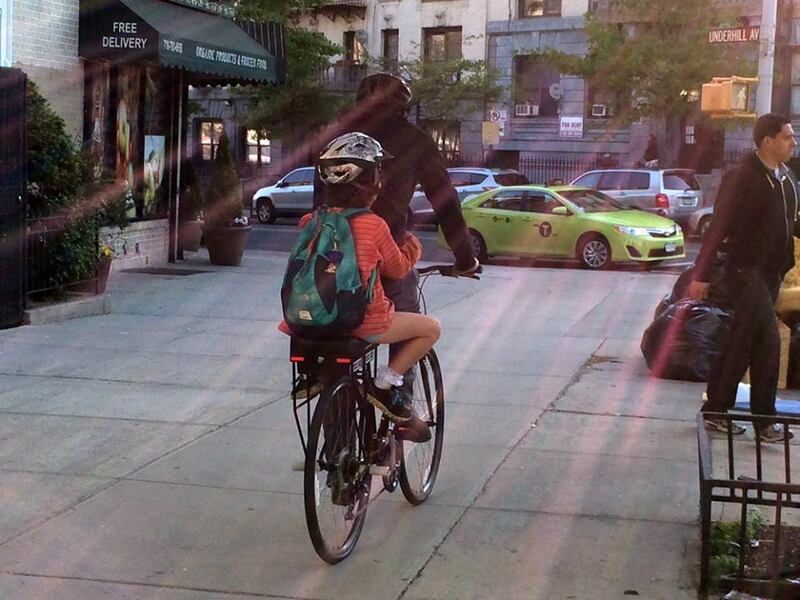 The trail-a-bike (which my daughter grew out of) as well as the xtracycles are big around here, since lots of people take their kids to school by bike, but they are tough to handle in the elevators and narrow staircases that most New Yorkers deal with. We have a cargo trike from Mexico that we also use for flat routes only (no gears), and we get dozens of questions every time we take it out. 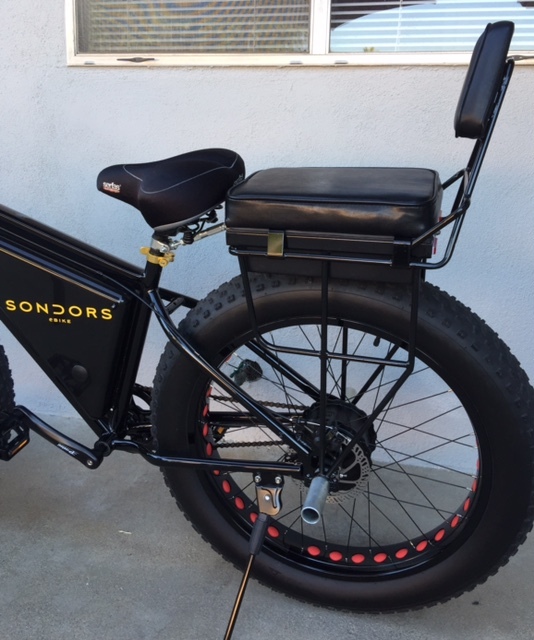 The ultimate cargo #ebike, complete with a Companion Bike Seat on the back. 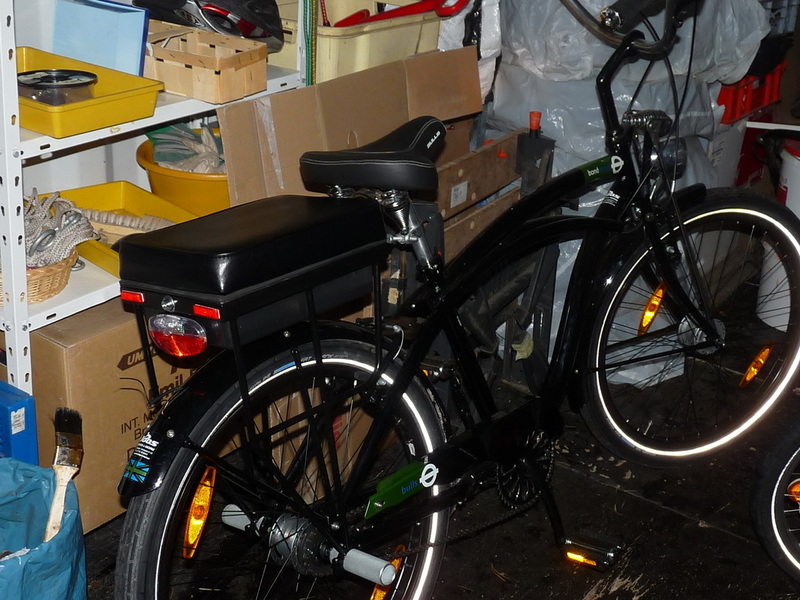 I got my Companion bike seat and installed it in less than 1/2 hour on my cool Globe Live 2.0 transport bike. I am now able to take my wife on the bike with me all around New Orleans. She says the seat is comfy and had no problem getting on or off. People that see us riding always wave. I just wanted to post on how awesome this product is and how happy I am with service and performance. Now if I could only paint it to match my fancy bike! The seat box holds my lock and cable and more, makes things easy! My kids and I love it! I took my daughter to school, had been looking forward to that so much. She had never ridden on the back of a bike. I realized that this morning. Very strange that I hadn't thought about that till this morning. I was practically taken home from the hospital when I was born on the back of my mom's bike! Jumping on the back of your friend's bike is something that you do regularly in Holland. And of course people jumping on the back of yours. Riding with her hanging on to me this morning felt so right! I think she had a few nervous moments (morning traffic on 2nd & 1st Ave in Manhattan can be a little intimidating). She had no way of knowing how good of a bike rider I am. We got to school in less than 5 minutes. I am so happy with my backseat! My husband and I took the bike with the seat for a spin yesterday and it was fantastic with the ocean on one side and the homes and palm trees on the other. We both love the seat, and we had few looks from onlookers lol. Thanks for a useful product. 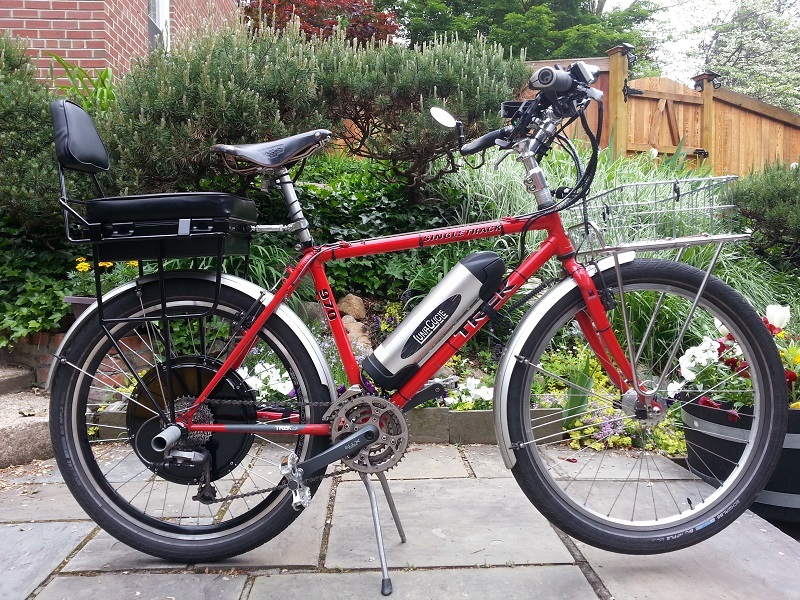 The Bikeseat has proven to be an excellent kit to electrify a bicycle. 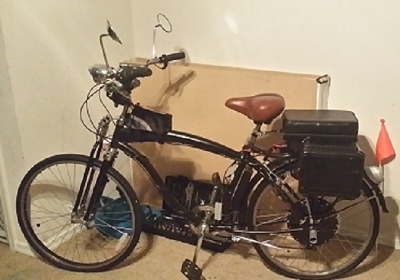 I used it on an electric Bosch bike and was able to put 600WH of batteries inside + all the electronics. It is a clean kit that can literally be mounted to any bike, all you need to add to the bike is the motor and the throttle and anyone is good to go! Yeaaaa! Who wants a ride? If an Xtracycle is a pickup, I want a wagon! I like the Companion seat because it is exceptionally burly and of course carries a passenger. Your seat is very useful, comfortable, and I enjoy riding - it has a new quality riding with a passenger - it is harder but it makes more fun! 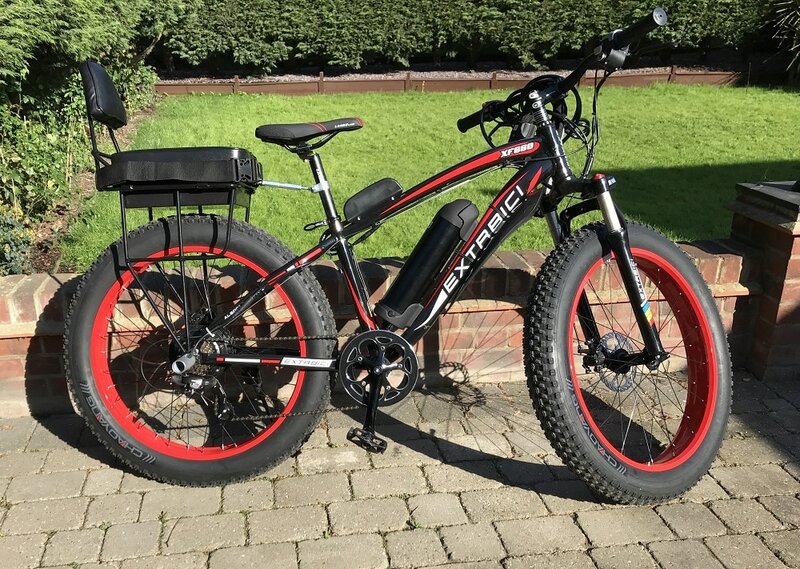 I ́m convinced, that many more possibilities can be developed in combination with e-bikes, the most increasing product in Germany. I've added a picture from late afternoon today. My cruiser looks great, I think. Best wishes and thanks a lot! We just recently got one of these seats. We already love it. 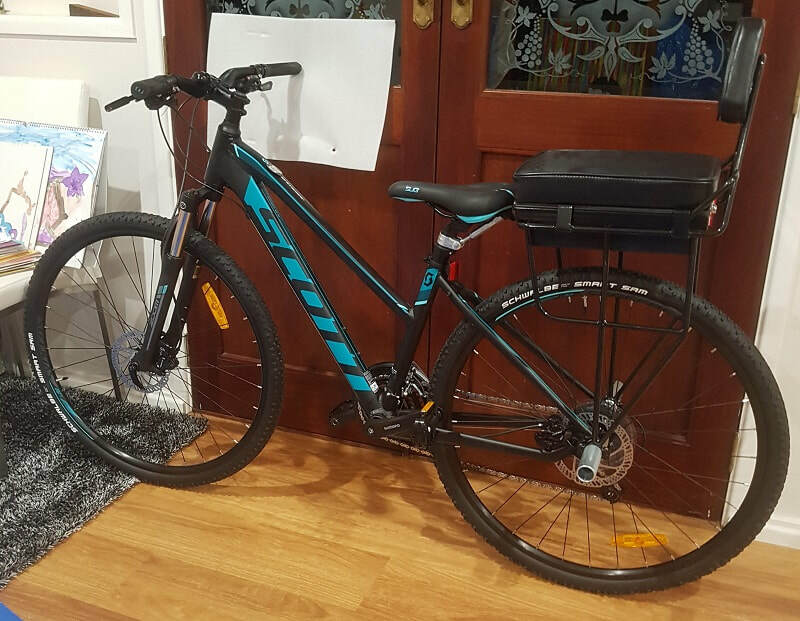 It is very comfortable for me and has better storage than just a bike rack. 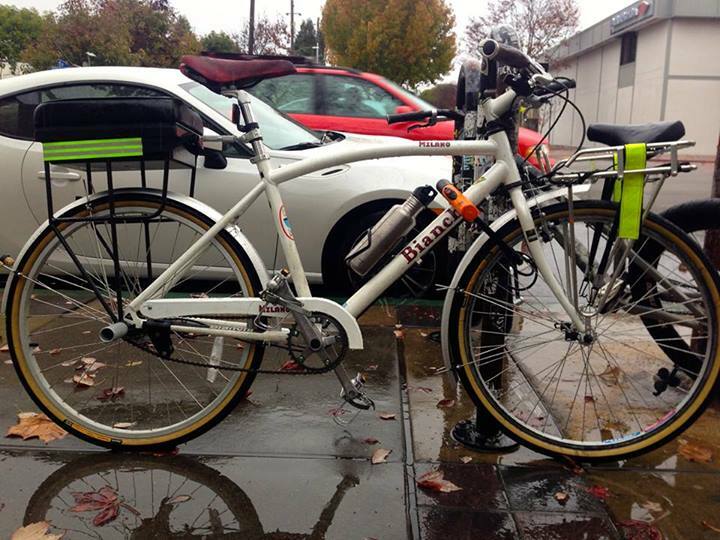 My Companion Bike Seats rack passed the rain test this week with flying colors! Last night I rode it to a high school in East Oakland to teach some teens techniques for avoiding bike theft, and the lockable compartment was a great visual. Then, I stopped to pick up some pizza today and my lunch made it home with zero soggage despite a downpour. Great job! Very happy with the seat. Looking forward to lots of continued biking here in using your seat now. Glad you guys made the seat! @CompanionSeats is one of those "I can't believe I didn't think about this before" companies. What an incredible idea! The Bike Seat was really great at Burning Man this year - very convenient and useful for giving my friends lifts around the playa. The seat is comfortable, and even my most cautious passengers were able to relax. I even got a great reward, when a skydiver landed in front of me on the playa: I offered him a ride back to camp (with his whole parachute) and in exchange he gifted me a token for a ride on the skydiving plane! 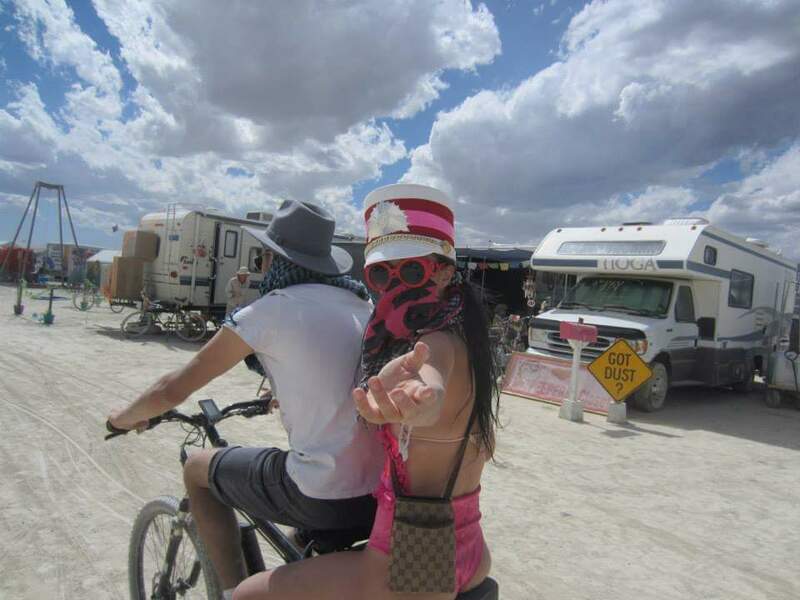 So, because I offered him a lift with The Bike Seat, I got a birds eye tour of Burning Man. Thanks, Companion! 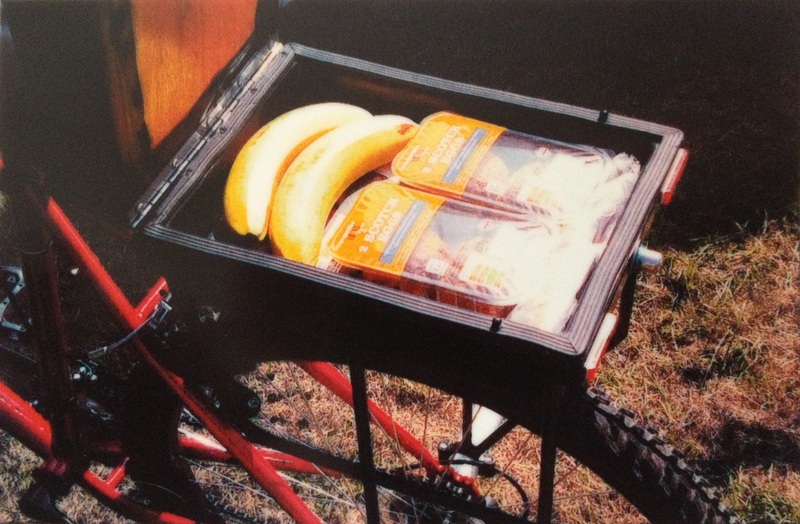 I found myself looking a few months ago looking for a way to add more storage to my bike. In my search I found this cool business that was making these seats that attached to the back of the bike. My wife and I have a tandem that we love and this idea seemed brilliant. We have been using the seat for a while now and we love it. 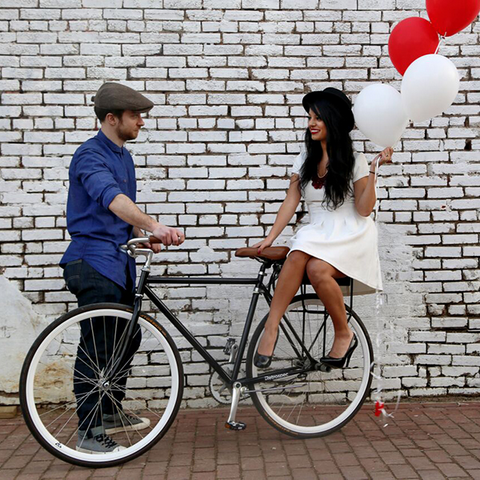 It is perfect for riding downtown to the farmers market or heading out to dinner. My kids love it as well and are always wanting to go for a ride. If you want something super fun for the whole family this is the seat for you! I love biking with kids but they can’t always handle longer distances. I’d been searching for quite a while until I came upon the Companion Bike Seat. Getting early access really made our vacation with rides across the Golden Gate Bridge and Yosemite park that wouldn’t have been possible otherwise. Thanks guys! What an amazing idea! Good job! 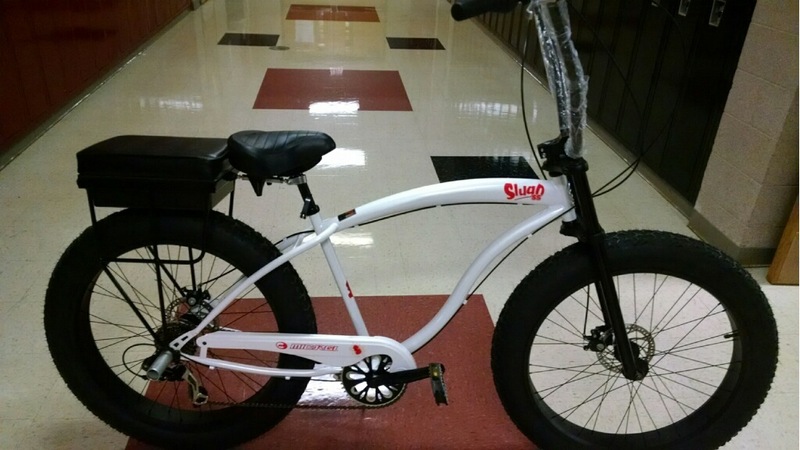 It could also be used as a training tool for kids learning to ride a bike. This way they could feel what it's like to balance on one. I've been riding bikes since I was a kid. I've ridden everything from BMX and beach cruisers to mountain and road bikes. Most recently I've gotten into riding a fixed gear road bikes. But I have to say the most fun I've had on any bike is when I'm riding my Companion Bike Seat with my one of my friends or my girlfriend on the back. 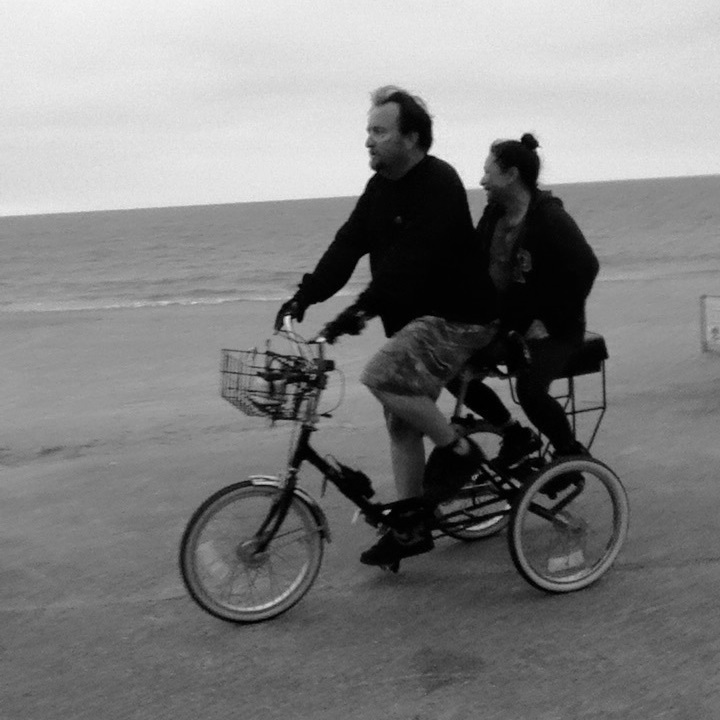 For me I just love riding around the beach, only needing one bike and lock and all of the looks you get from people on the boardwalk.